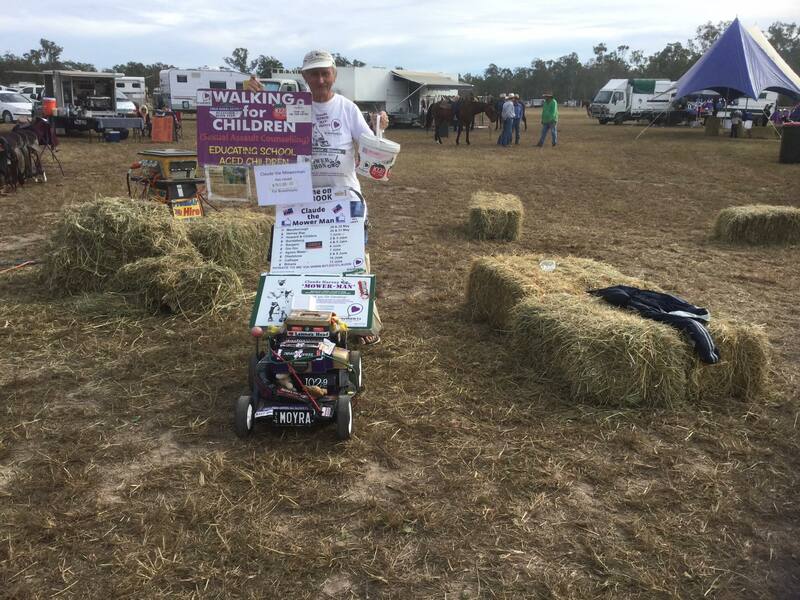 Australia’s favourite fundraiser, Claude ‘the Mowerman’ Harvey is closing in on his magic million dollar fundraising target. Having mowed his way from Tewantin to Biloela through May and June, Claude is now just $46,000 away from achieving this mow-mentous achievement. 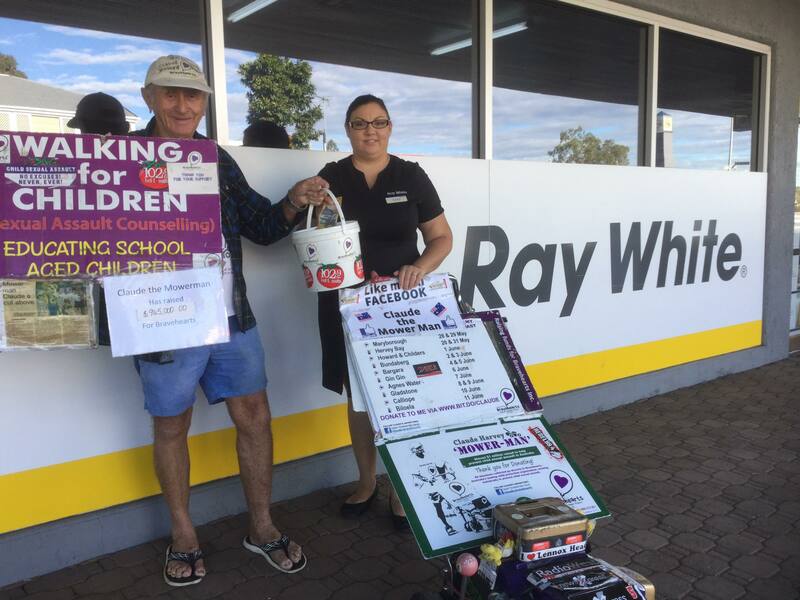 Claude was warmly welcomed on his most recent mowerthon in towns including Gympie, Hervey Bay, Bundaberg and Gladstone to name a few. “I am so grateful to everyone who supported me during my trip,” says Claude. During his trip, Claude met with many local Mayors and Parliamentary representatives including Nev Ferrier (Mayor – Banana Shire Council), Tony Wellington (Mayor – Tewantin) and Glen Elmes MP (Member for Noosa). While on the road, Claude was also presented with a cheque from the Pomona Lions Club to boost his fundraising closer to his lofty target. It has taken Claude almost ten years to reach the million dollar milestone. 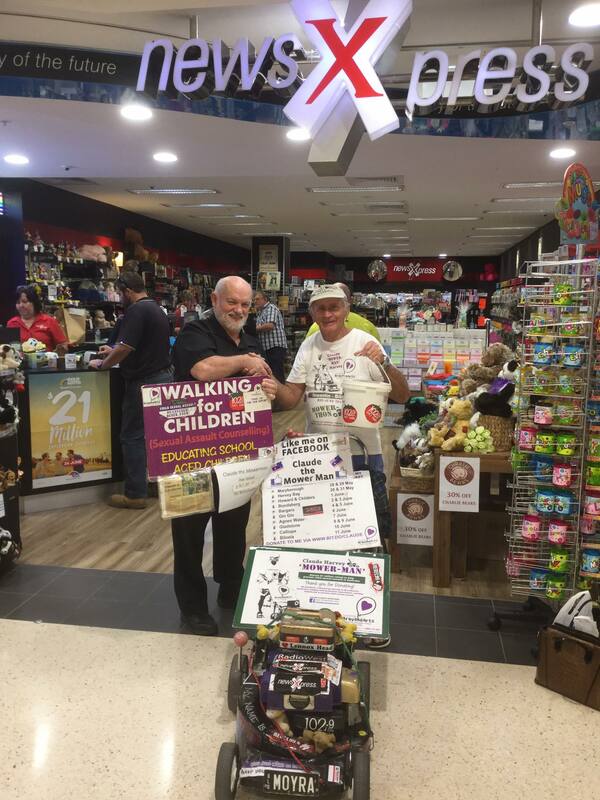 In that time he has walked his way through 83 pairs of his trademark sandals and push his faithful mower more than 24,000 km across Australia to support his favourite charity Bravehearts. Bravehearts Founder and Executive Chair Hetty Johnston AM, says Claude’s efforts are a testament to the difference one person can make to the lives of so many. “Claude is a national living treasure, and we are forever grateful for his remarkable contribution and fundraising efforts,” says Mrs Johnston. Reaching the $1 million mark will mean a lot to Claude, but raising awareness will mean even more. “Raising a million dollars isn’t the most important thing to me,” says Claude. Donate to Claude’s ‘Mow-mentous’ fundraising campaign today! CLICK HERE TO SUPPORT CLAUDE NOW!